Lindsey’s been gone on a hunting trip, and I’ve been holding down the fort here in the Boonies. In my role as de facto head of the hacienda, I have been required to face a possible copperhead sighting on the patio, quell an incursion of multiple yellow jacket entries, take dominion over spiders that are showing up in the house in greater numbers now that the weather is warm, handle unexpected car issues that have arisen, and generally be the adult around here, doing what needs doing. And while April has been mentioned by the poet T.S. Eliot as the cruellest month, she’s got nothing on May, in my estimation. For May is the month of endless end-of-the-school-year functions: seniors are graduating and must be celebrated, dance recitals must be rehearsed for and attended. End of year parties must be thrown. Band Night must be grooved to. College students and all their worldly possessions must be gathered from institutions of higher learning, and driven back home. So, things have been busy. And that’s not even mentioning the readjustment aches and pains that occur when those little college birdies who have ALMOST completely flown the coop, and who have grown used to living on their own, with different responsibilities and rules, suddenly have to re-adjust to the confines of the familial nest and what must, to them, no longer seem like a particularly spacious place. 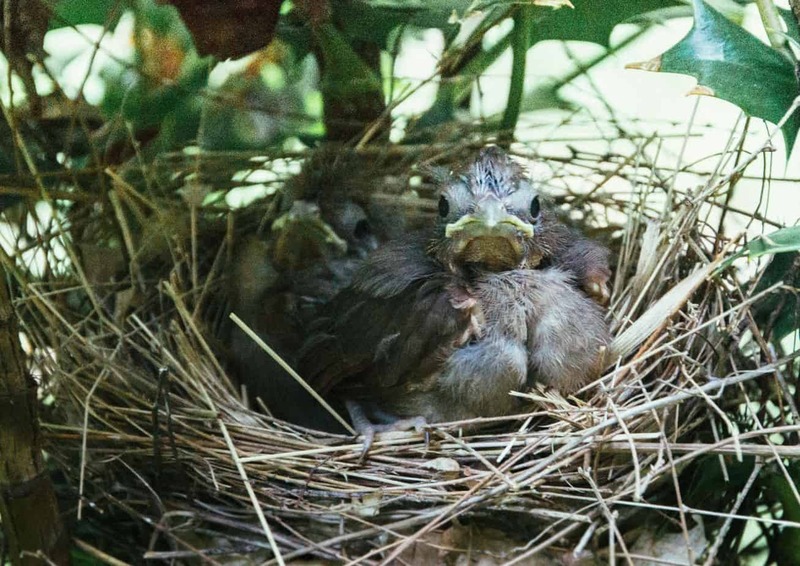 The baby birdies are growing up fast. The nest is feeling a little confining. 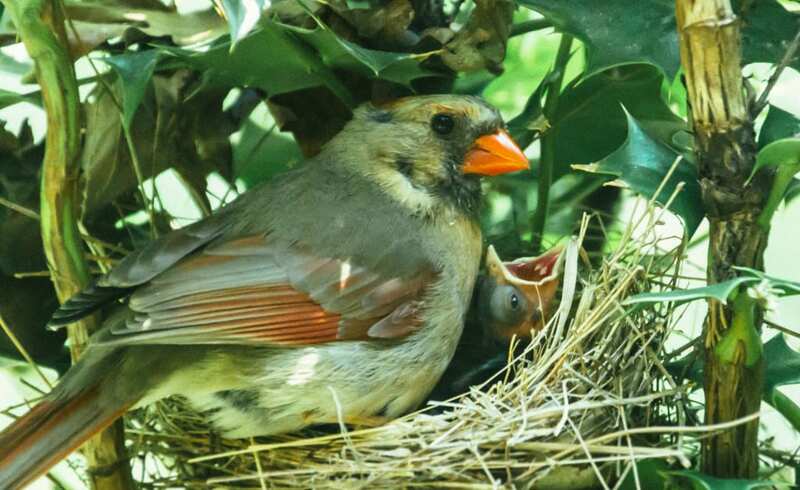 My nest is full to bursting with two glorious little fledglings, squirming about, whose lives, dreams and personalities are full of promise, hope, and expectation. Their futures, while still unclear, are beginning to materialize through the mist, and I sense each of my babies’ respective restlessness. I know that the time is rapidly approaching where they will take leave of this pleasant nest their father and I have built, and be ready to take on life, on their own. While my husband has been gone, I’ve had extended conversations with each of my two children, my 17 year old, and my 21 year old. These conversations have revolved around the topic of where they see life going for them. Good conversations they’ve been: they’ve each allowed me at least a brief glimpse into that sacred place where each of us hides our innermost longings, hopes, and dreams. I don’t take that privileged peek lightly. I try to behave with respect, realizing that they’ve both offered me the equivalent of a VIP pass into their hearts. The challenge, to a parent of a young adult, is to know how to find that sweet spot. When do you only listen, nod, and say, “Yes, I’ll bet,” or “How about that?”or “Let me know how that works out for you”. And when do you point out the flaws in their logic: flaws that may be glaring, to you. I long for the maturation of their pre-frontal cortexes, bless their hearts – and their brains. I long for the time when all the maturation that God planned for them in terms of physiological development has been accomplished, so we can talk, straight up, with no hurt feelings, and with deeper understanding, on both sides. I long for it, exactly because my kids are both delightful, gifted human beings. I’ve even had moments where I’ve almost envied what it might be like to be their peer…one of their homies. They’re so funny, warm, and wise. What really got me to thinking about this was this picture, posted on Facebook by a friend of mine, who gave me permission to re-share it, here. My friend is my age, and at present is dealing with his aging father’s health issues. 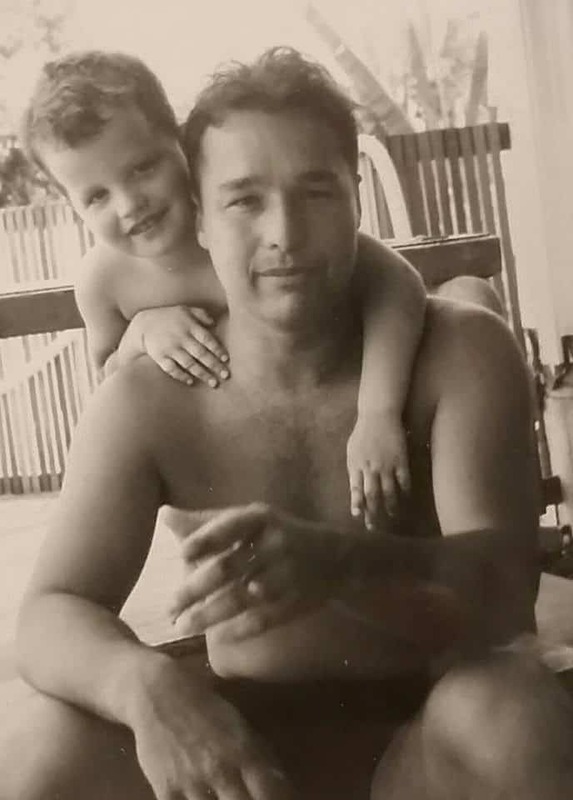 In the midst of this, he stumbled across a picture of himself and his father, taken when my friend was just a little boy, and his dad was a strong, healthy young man. I met my friend as a young man in college, but in this picture, he’s a child. But in that little boy’s face, I could see the essence of who my friend is. I’ve seen more recent pictures of his dad, as he has aged: but in this picture his dad was young, vibrant, and in the prime of his life. Not grappling with health challenges. What grabbed my heart was the vivid depiction of the ages and stages of humanity. We need physical help and parenting when we are children, and advice as teens, and then, about the time we reach full-functioning adulthood, it is often the case that the health of our own parents begins to decline, and in some families, the parent begin to need parenting. It is oh, so rare, that the generations get to cross those boundaries: the boundaries that age differences and health issues offer. It is so rare with someone who is a generation older or younger than us, for us to just know and appreciate each other, for who we are at our core, without one side feeling they must intervene, or help, or fix. I long for an ability to connect with the generation before me, and behind me, over the essence of what it is that makes us, us. I desire that intimate familiarity, that in this picture, is depicted as so close and easy, that it’s the skin-on-skin bond of family hanging out at the pool. Maybe it’s just a fantasy, but what I yearn for is one human being relating to, appreciating, and loving another human being, for who they are, despite their age. Probably what I’m longing for is that golden moment when we know we are home: loved, laughing, appreciated, even cherished. Not divided by generational differences, or health concerns. Just home. This morning, as I was thinking about this, I thought about how Jesus, when he finally had brought His friends, the apostles along as far as He needed to…that it was then, that it was time for Him to leave. And I thought of how it nearly broke His heart. (You can read what I’m referring to in the gospel of John, in chapters 14-17.) But He talked with them about how it was better for them if He went away, because then, He could send His Holy Spirit to live inside them. How He no longer called them servants, but friends. How He was going to go away to prepare a place for them, and how when they got there, they would see His glory: the glory that He had with the Father before the world began. Somehow, I take comfort in knowing that even Jesus, with His Besties, never quite reached that sweet spot of the unity that He desired for Himself with His Father and His Besties. He prayed for it. He longed for it. He knew it was coming. But not while He was on this planet in bodily form. I actually think He, in His own way, was longing for Home, too. And longing to bring Home with Him some new friends that He was absolutely crazy about. Jesus calls us brothers and friends, but even so, we are not His perfect peers. Darned imperfect are we, in fact. But, I don’t believe that diminishes His love for us one iota, just as I don’t love my children any less because they are not my true peers. We are still loved, by Jesus, with an everlasting love: with the deepest love we will ever know. When we belong to Him, we ARE home.